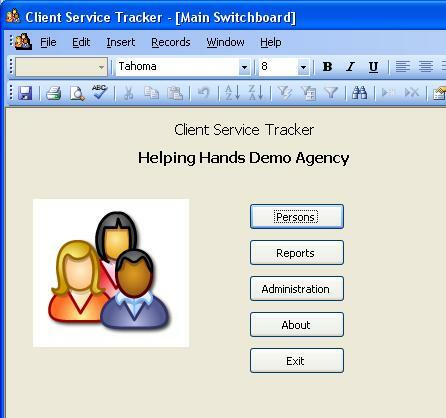 This page shows screen images for Version 8 of Client Service Tracker. 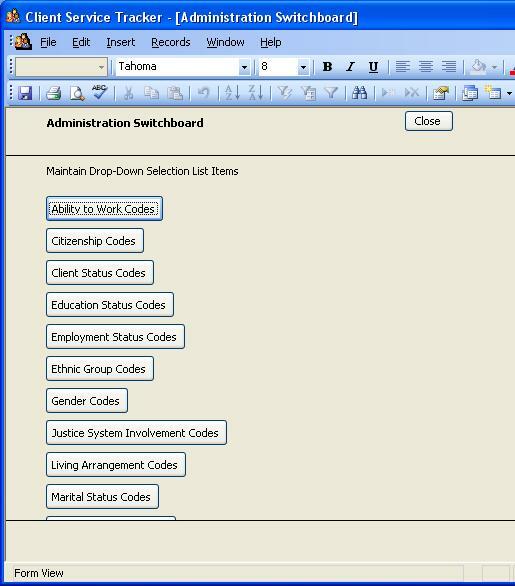 First you will want to customize the Program Codes and the Service Codes for your organization. 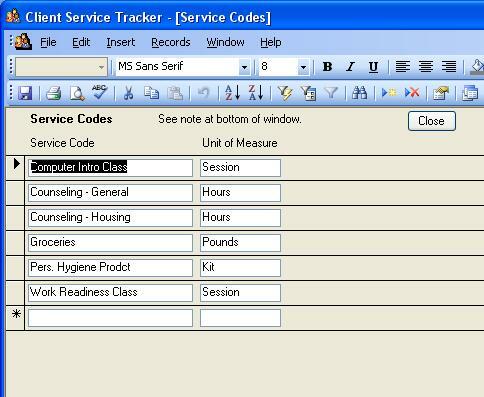 Shown below is the window with the Service Codes that are in the demo version. 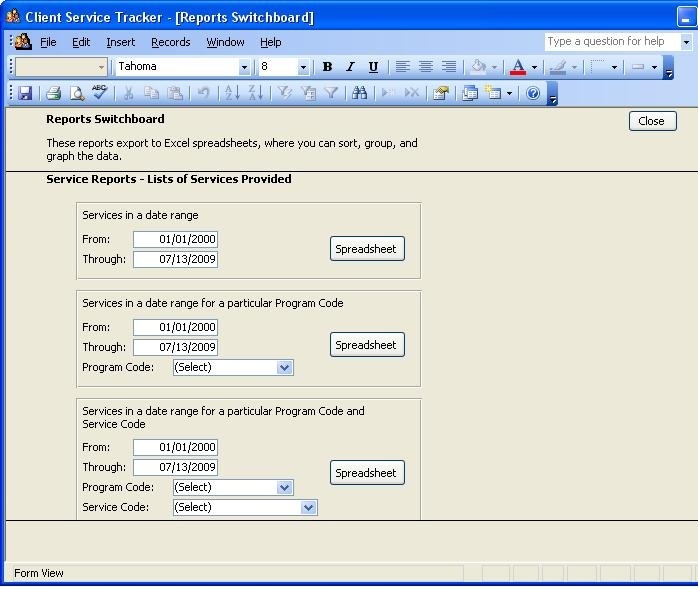 You can add, change and delete any Service Codes (or other codes) at any time as needed. 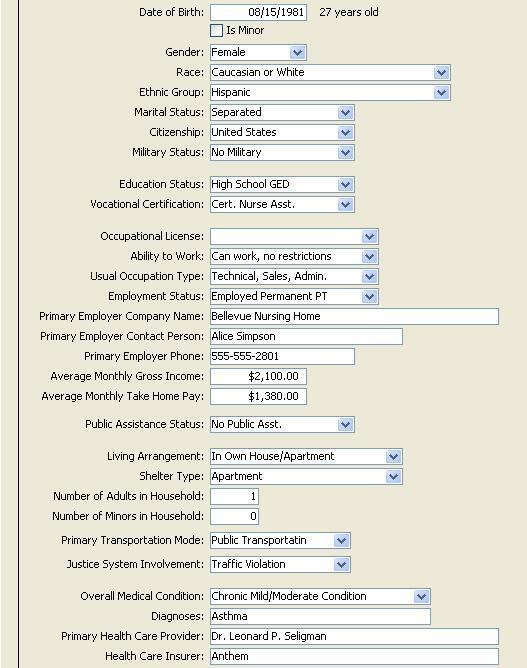 You can sort and find records by any of the fields that appear above. 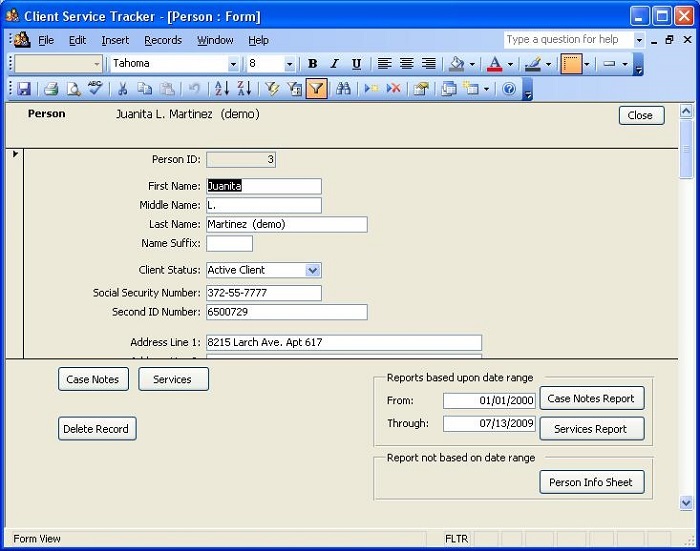 You can open an existing person record or add a new one. 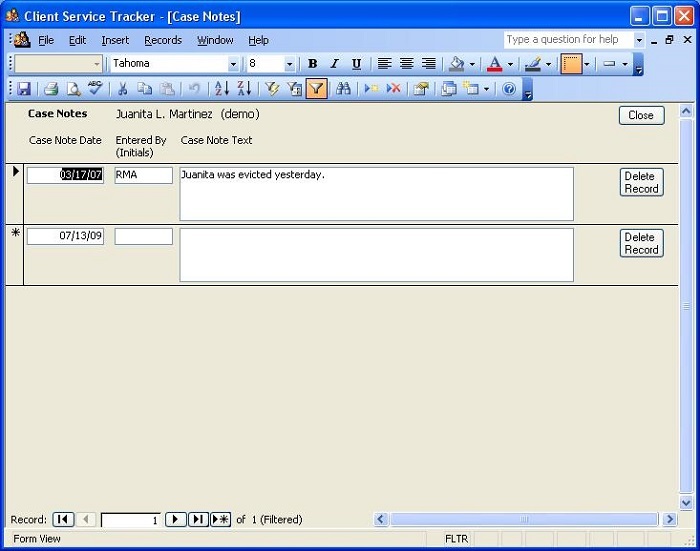 You can add case notes to a person record. You can add as many as needed. 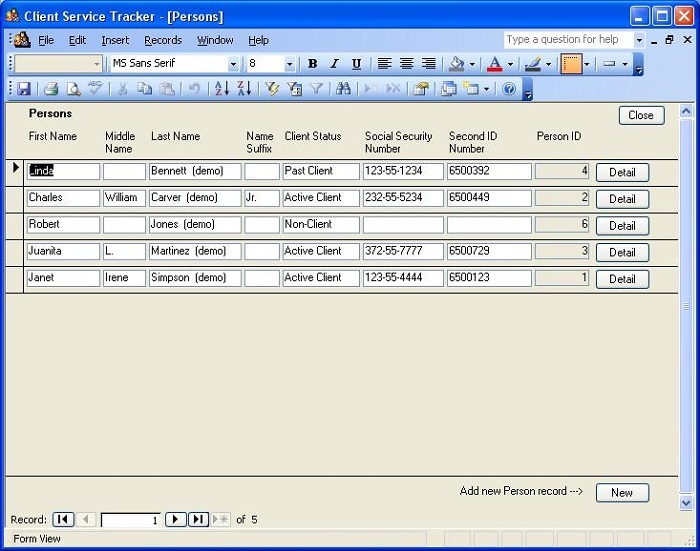 You can also add records that show the Services that your organization provided the person. This is where the Program Codes and Service Codes come in. 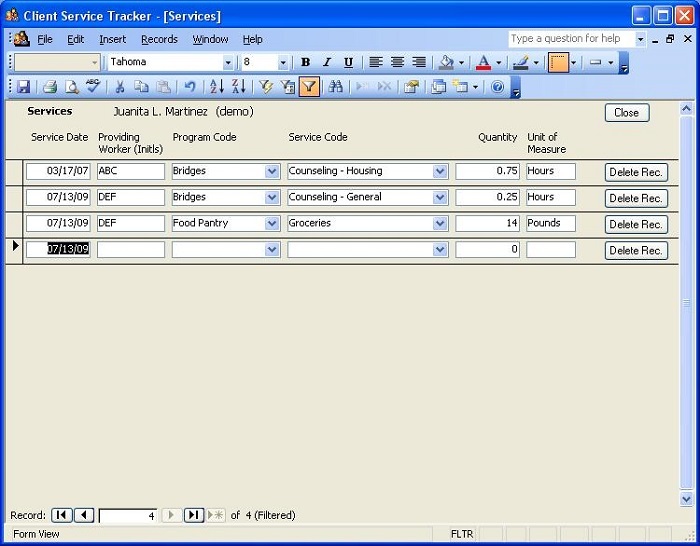 There are many different kinds of reports you can create. The Reports window below shows some of them. Many reports come out in Excel spreadsheets, which lets you do further analysis of the data to get just the statistics you need.